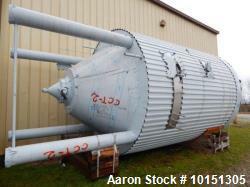 Used- 5000 Gallon Cherry Burrell Sanitary Jacketed Mix Tank. 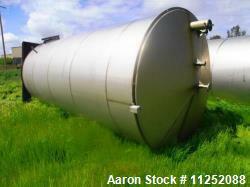 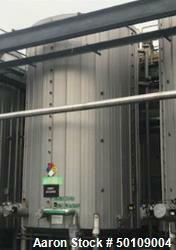 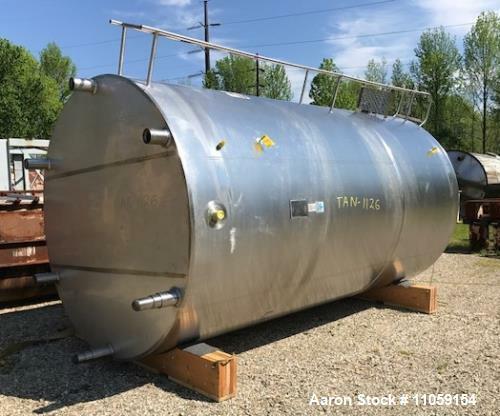 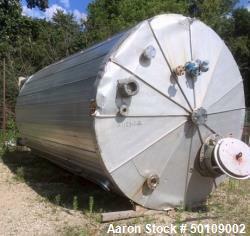 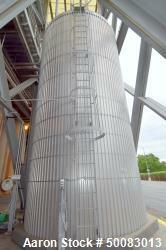 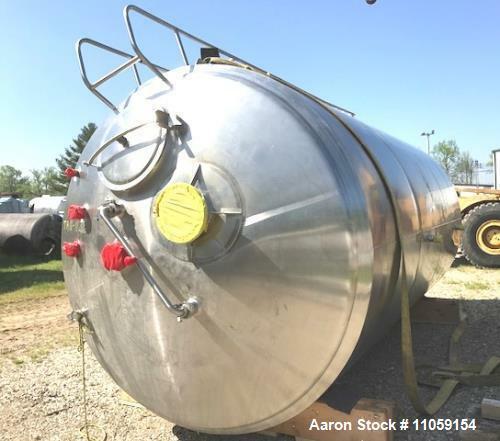 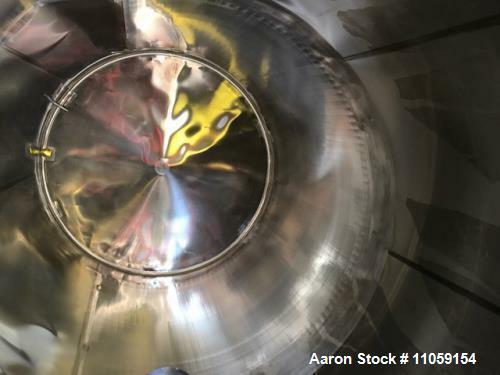 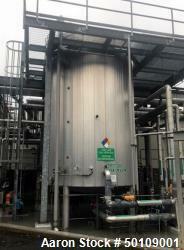 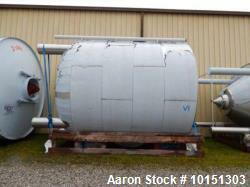 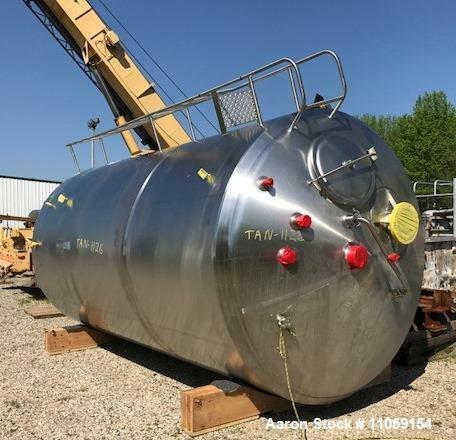 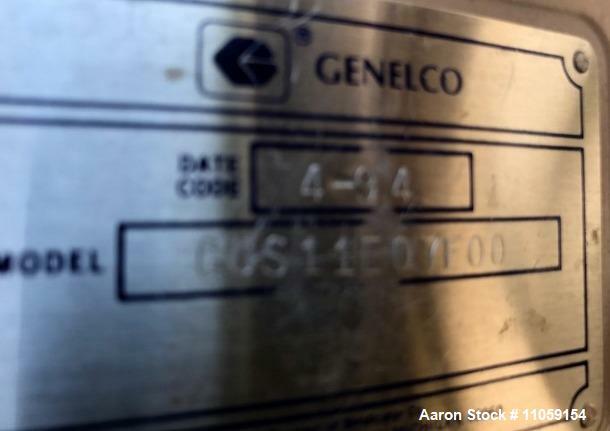 Used- Cherry Burrell Sanitary Jacketed Mix Tank, 5000 Gallon, 316 Stainless Steel. 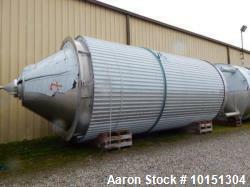 8' diameter x 14' T/T. 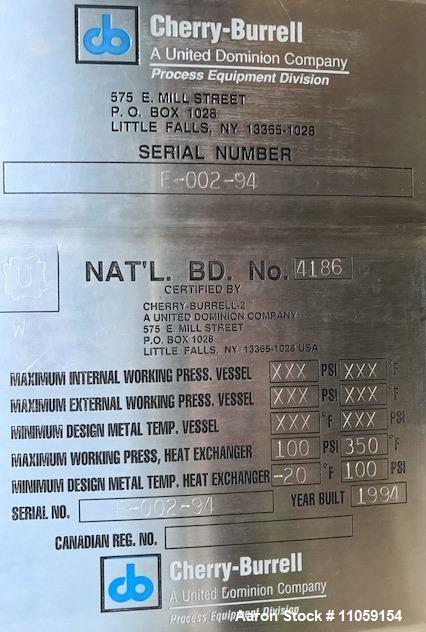 Jacket rated for 100 psi at 350 deg.F. 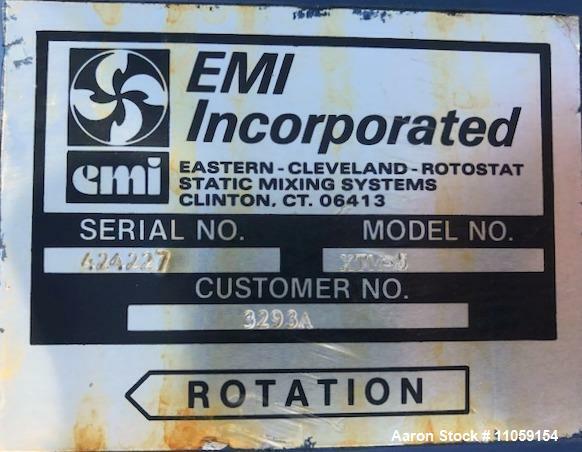 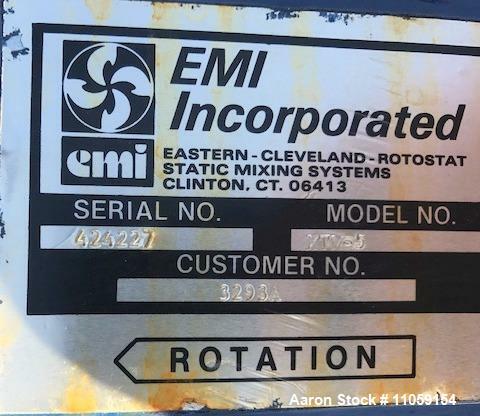 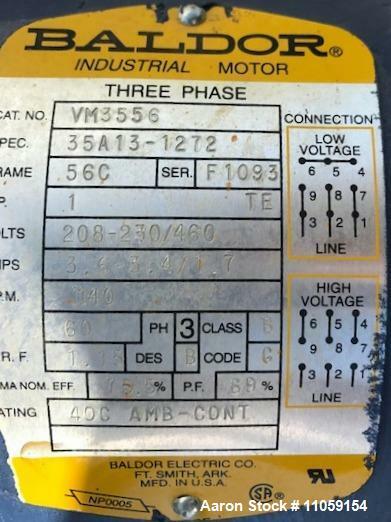 Mixer is EMI, Model XTM-5, 1 hp, 208-230/460 volt, 1140 rpm into gear reducer. 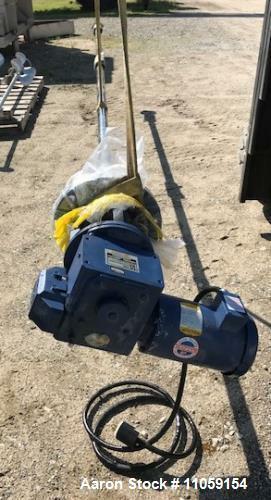 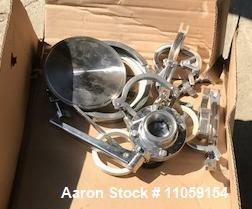 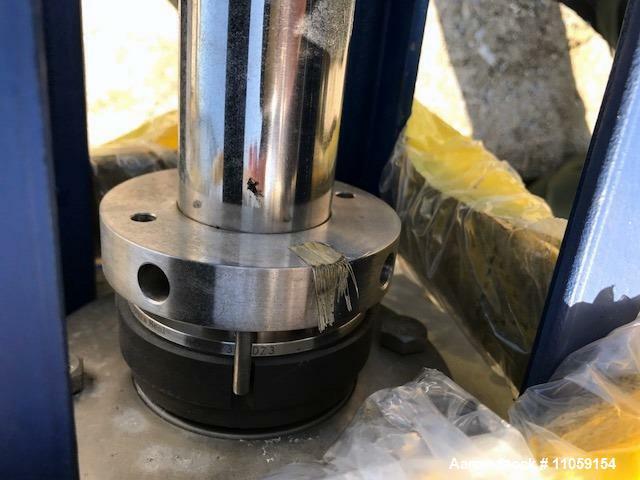 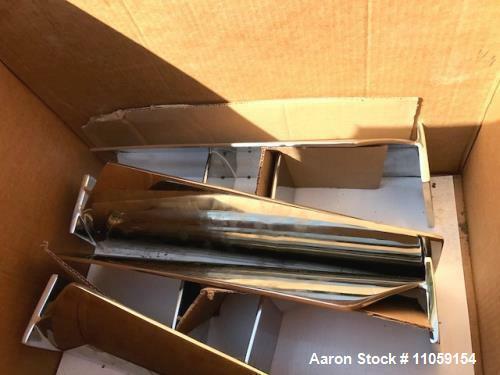 Has 2" diameter shaft with 20" blades (approx. 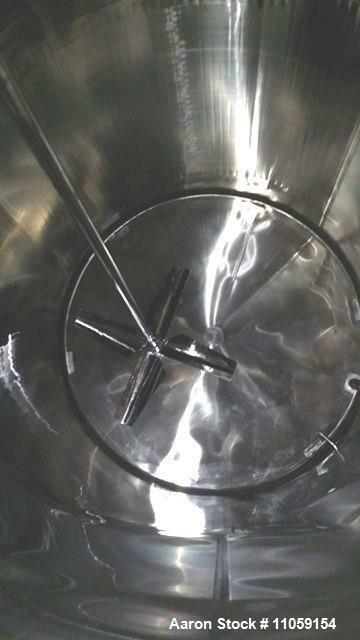 46" diameter with blades installed). 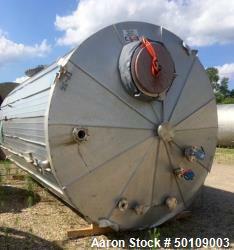 Approximately 17'6" OAH without mixer. 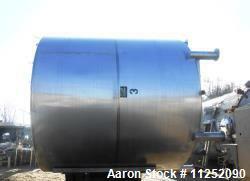 Total height with mixer approximately 19'6". 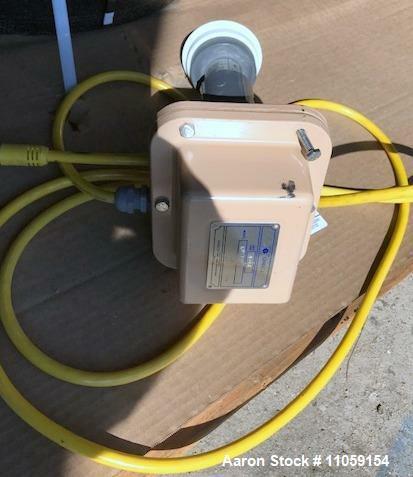 Slope bottom with 2" outlet. 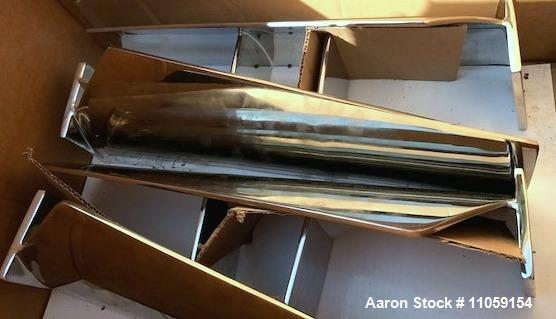 Top openings: 1-6"; 4-3" ; 2-2"; 1-23" manway and agitator mount. 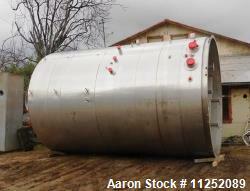 Dome top.